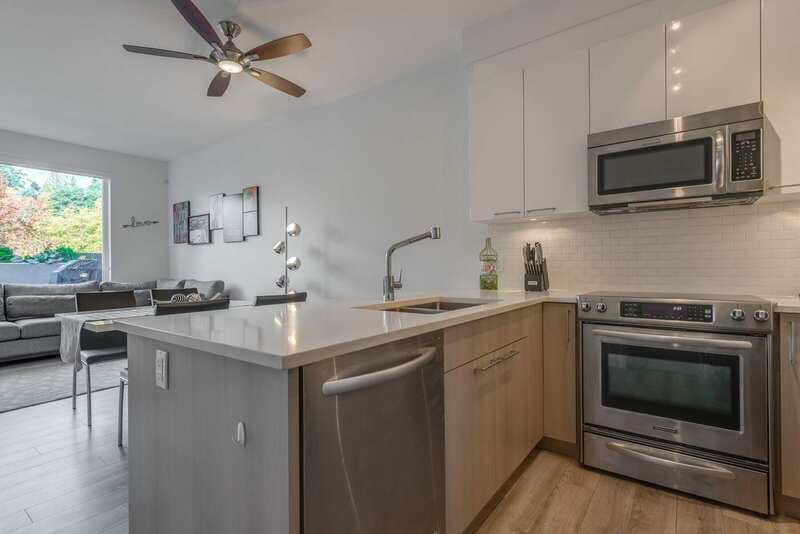 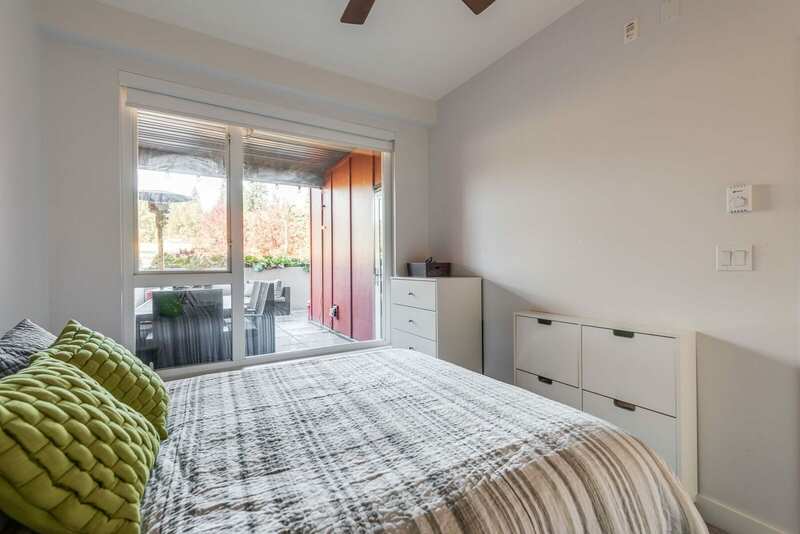 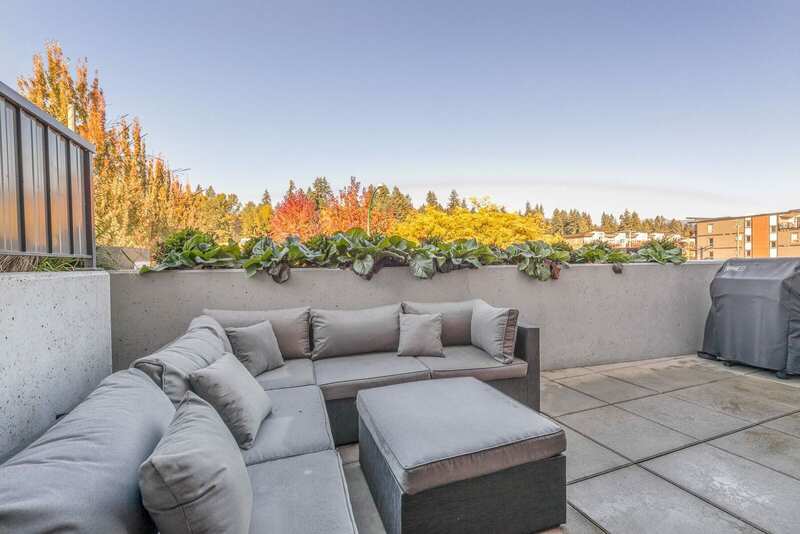 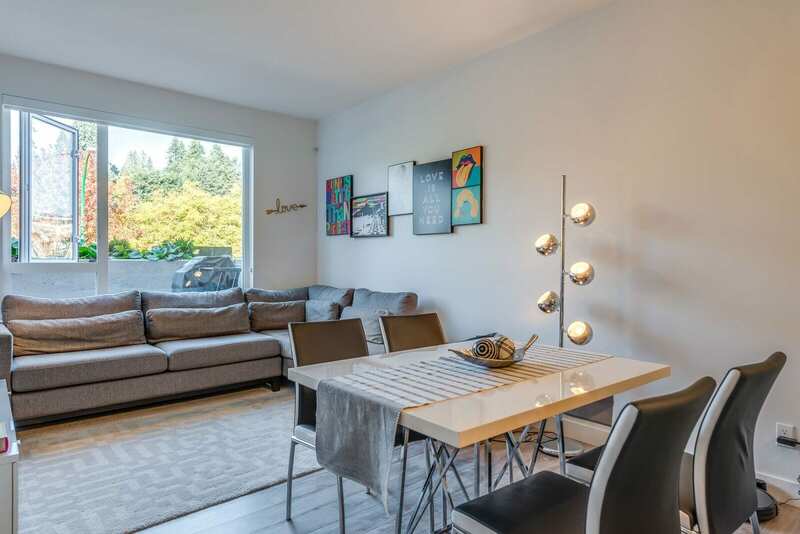 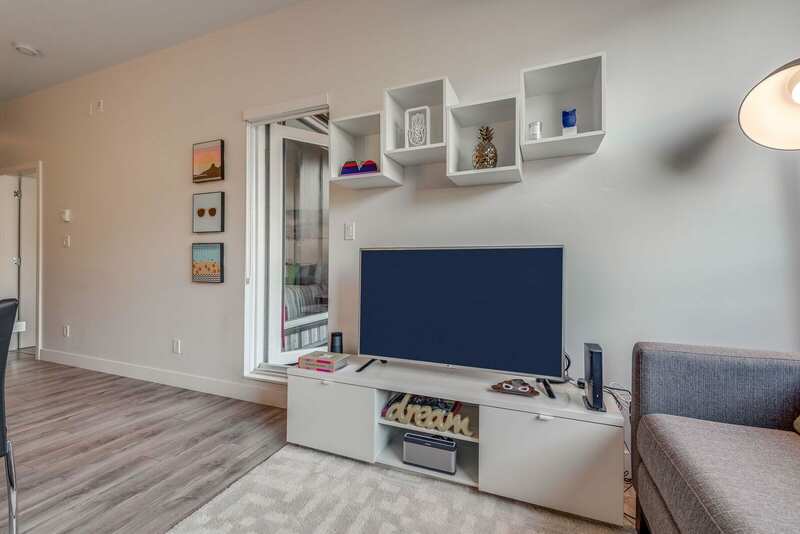 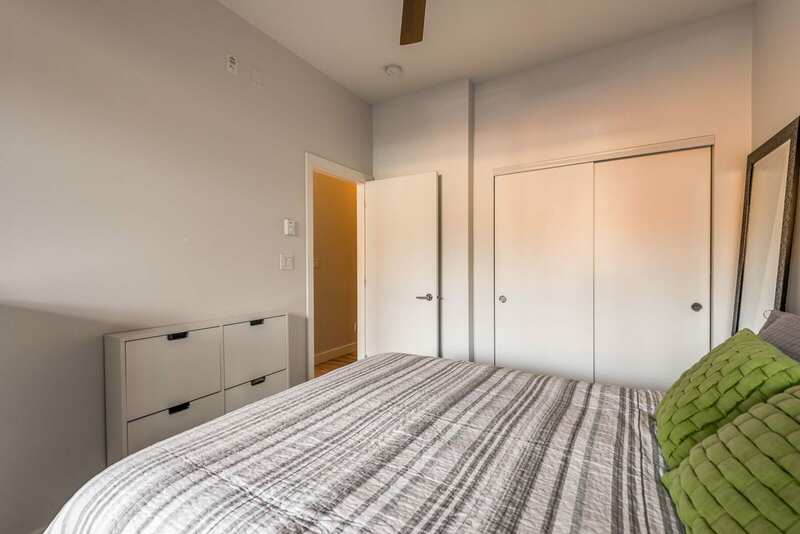 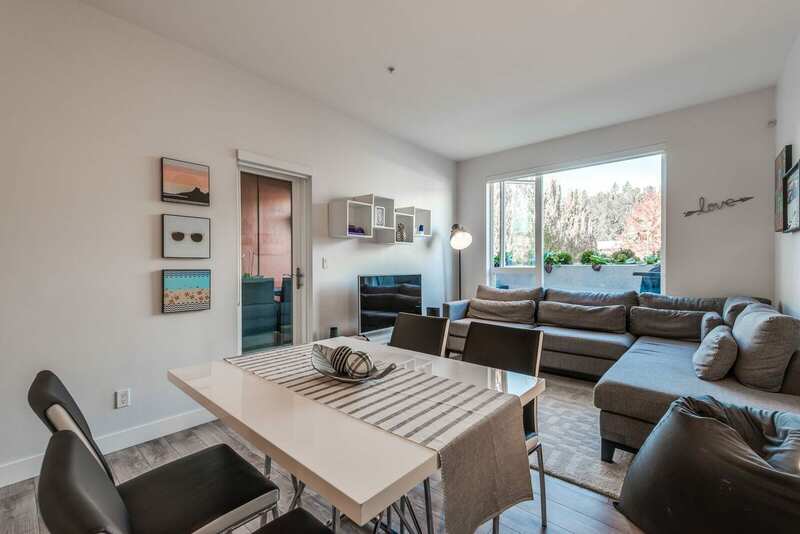 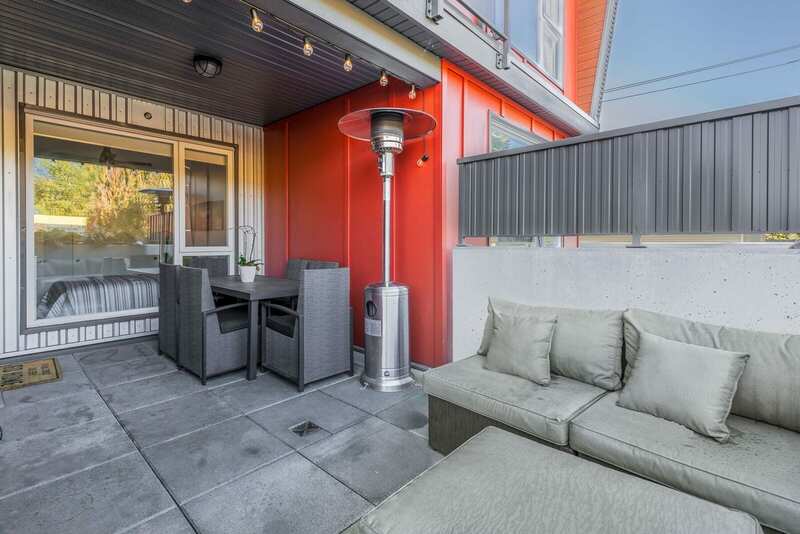 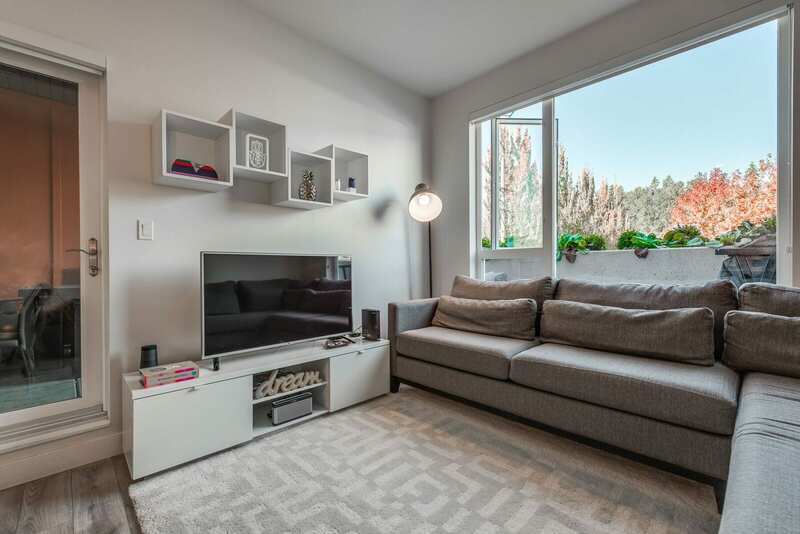 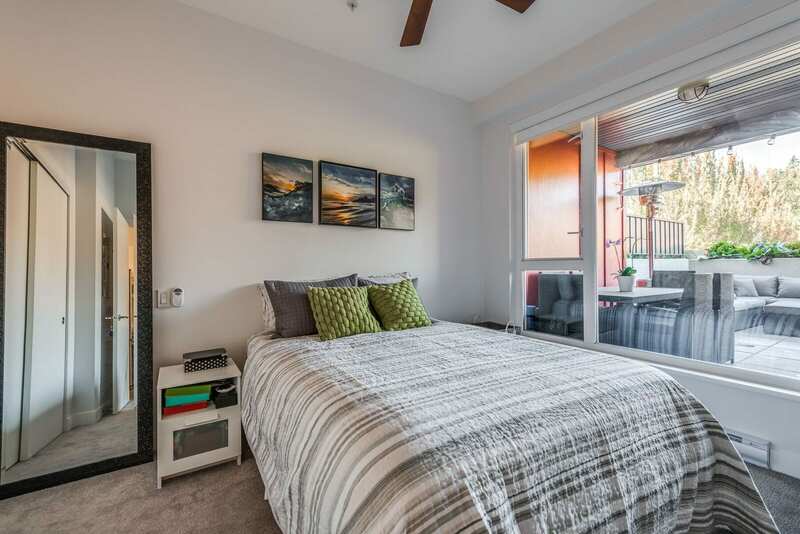 Gorgous 1-bed and den with a huge 260 sq ft patio and mountain / green belt views. 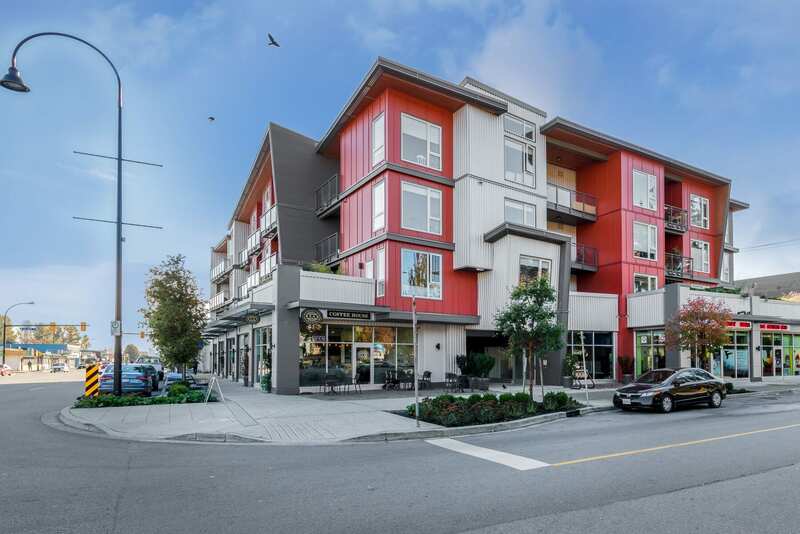 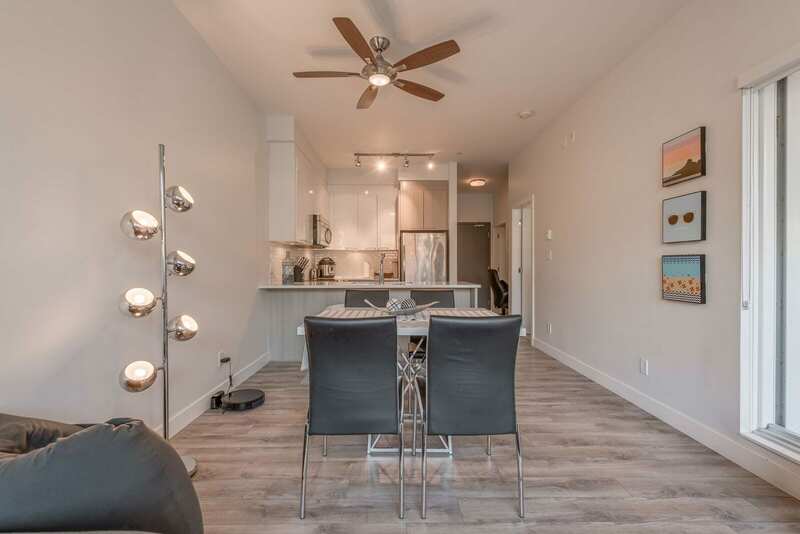 “The Ave” is a newly built boutique development in the Pemberton Avenue corridor, with quick access to everything you need. 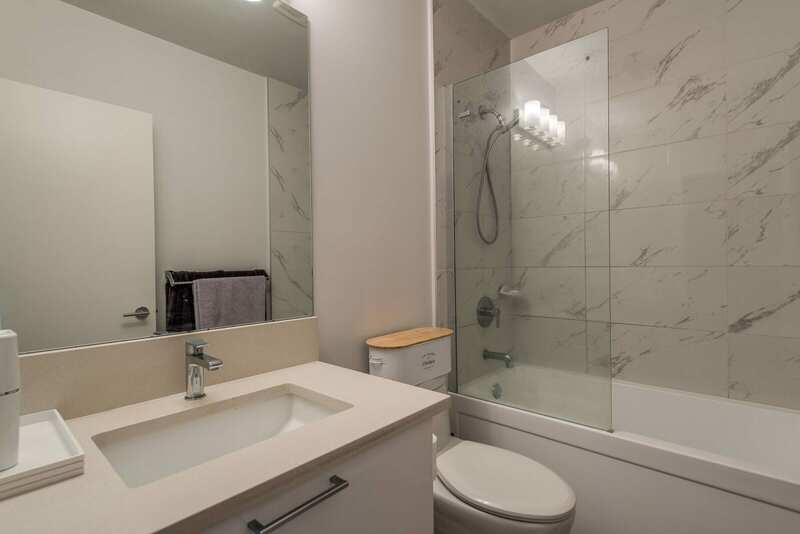 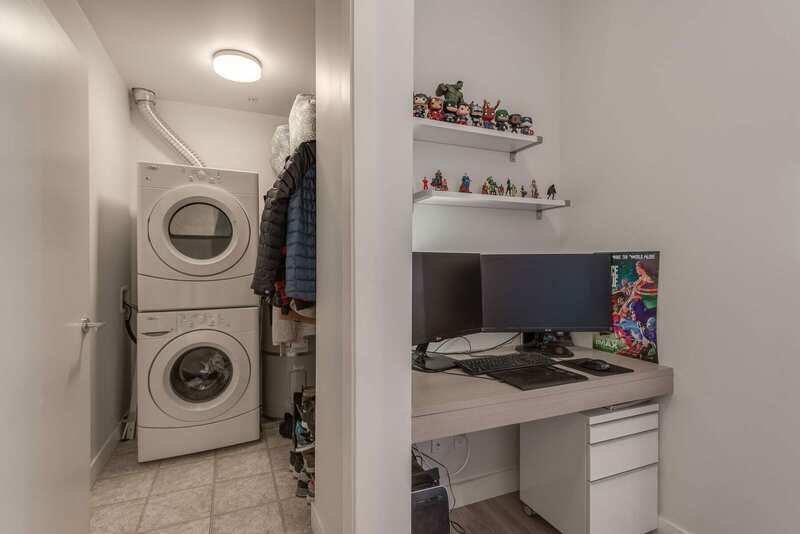 This 1-bedroom suite features high ceilings and a convenient floor plan with office nook and a huge laundry room. 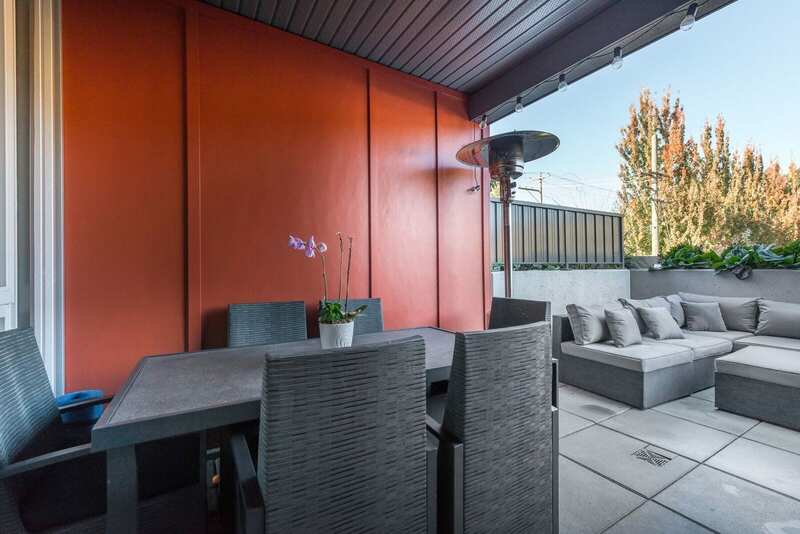 The patio is very private with a built in planter and a large covered area perfect for entertaining and gardening. 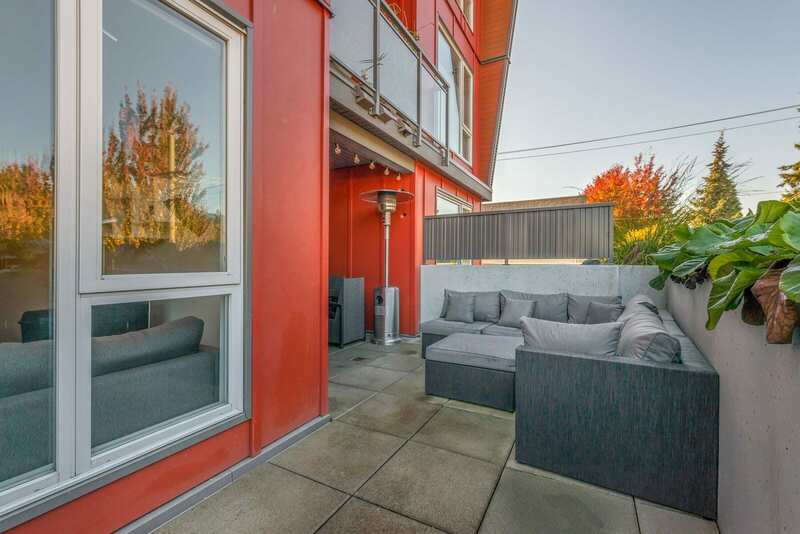 Ideal for rental with a low strata fee and no restrictions. 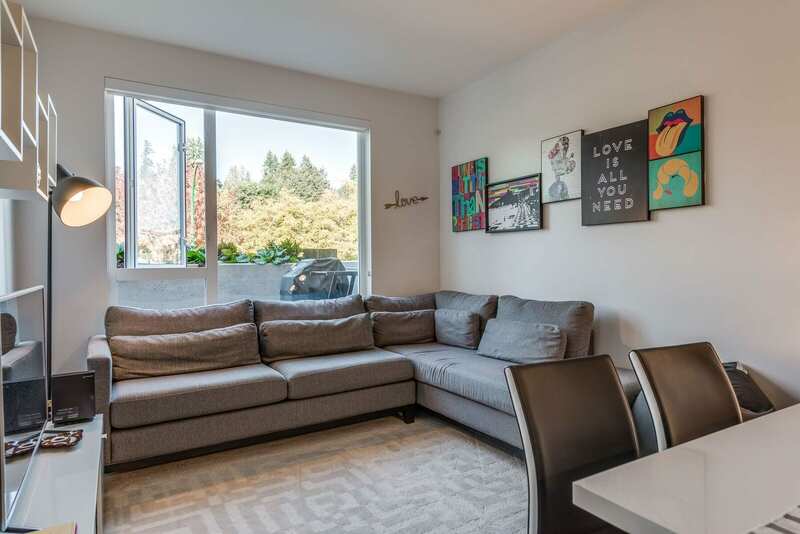 Pets permitted steps from Mosquito Creek, Capilano Canyon, and the Kings Mill Walk / Ambleside Dog Parks. 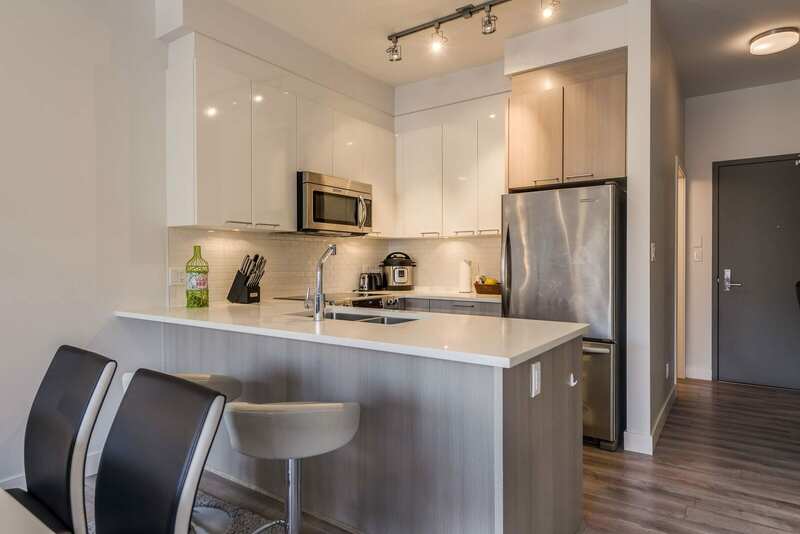 With Cactus Club and Bean Around the World at your door step this rare find in Norgate is a must see!